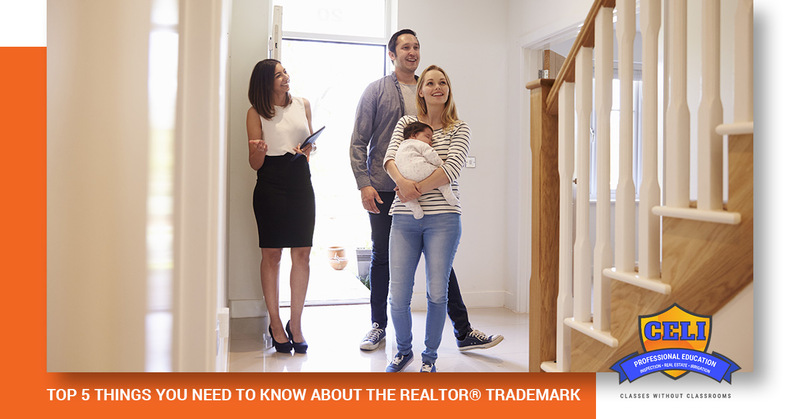 As a REALTOR®, are a number of things you should know about the REALTOR® trademark and how to use it. One of the benefits of continuing education is that it provides new information that is relevant to your field, as well as provides refreshers on items that you have already learned, but maybe have placed on the “back burner.” Today, we will look at the top five things you should know about the trademark. At Continuing Education for Licensing, we want to help you stay on top of your field, as well as all of your licensing requirements, so be sure to contact us to learn about the classes we offer to REALTORs® and Home Inspectors today. A REALTOR® is a member of the National Association of REALTORS® and the term REALTOR® should never be used as a substitute for a real estate agent. There are also real estate brokers, which involve another facet of this industry. Before you can fully understand how to use the trademark, it’s a good idea to know the difference between these different fields. A real estate agent is someone who has passed the required classes and exams to become a real estate professional in the state where they plan to work. A REALTOR® is a real estate agent who has chosen to become a member of NAR and must then abide by the standards and code of ethics of the association. A real estate broker is an agent who has continued their education in the field of real estate to obtain their Broker license and can work independently or employ other agents. The biggest difference between the three is that a broker can work independently, but an agent must always work under a licensed broker. Now that you understand the difference, you can see why the trademark is important both in its presence and absence.The trademark indicates that you are more than a real estate practitioner — you adhere to a strict code of ethics that protects your clients, yourself, and other real estate agents. Members are allowed to use the trademark, but with limitations. They may use it only in the context of identifying themselves as members of NAR, and only when specifically referencing their personal real estate business or the place of business with which their membership is associated. As you may expect, those agents who are not members of NAR are not allowed to use any of the trademarks associated with membership, either in connection to their businesses or themselves. The REALTOR® term should always be in all caps, using the registered trademark symbol. If it is not possible to use the symbol, then the next acceptable option is to make sure that is in all caps — REALTOR. The icon is set in Future typeface and has a sharply contrasting background with the trademark centered underneath. Both the background and the trademark are to be the same contrasting color. 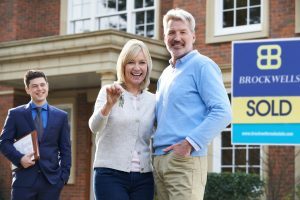 Because the term REALTOR® is a valuable trademark, it is crucial that it be used correctly and not as a generic term. It may be used with a member’s name, or the name of their business, only to indicate their membership in NAR. The trademark can be used on merchandise like t-shirts or baseball hats, as long as the member’s name, or their firm, is also included on the merchandise. There have been a number of valuable trademarks that became used in such a common fashion that they were no longer considered exclusive towards a specific product, and therefore lost their value. They became “everyday” terms that didn’t necessarily apply to a specific brand or product. As a REALTOR®, you have worked hard to learn what you need to know so that you can not only have your real estate license, but also proudly claim membership in NAR. Continuing Education for Licensing wants to help you protect the value of the trademark through the courses we offer for agents and brokers alike. Be sure to contact us today and learn about the courses and exams we offer.